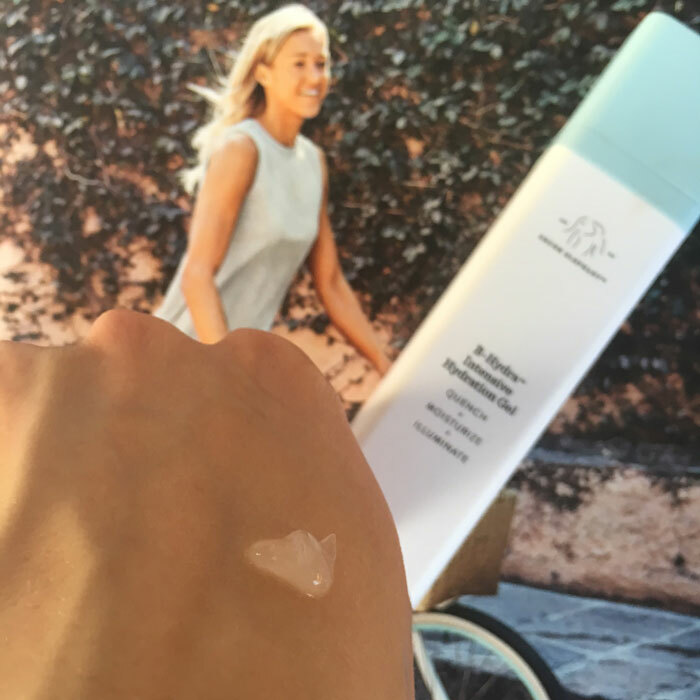 While it’s the perfect lightweight moisturizer for sweaty summer days, Drunk Elephant’s B Hydra Intensive Hydration Gel has earned a permanent spot in my everyday, year-round skincare routine. Perfect on its own and even better blended with your favorite cream or oil, Drunk Elephant’s B Hydra Intensive Hydration Gel replenishes your skin with moisture without feeling heavy or sticky. It’s also fragrance-free (like, of natural and synthetic fragrances), making it ideal for fussy skin. With just one pump from the super hygienic packaging, Drunk Elephant delivers superior, even moisture in a very layer-able texture. Use it alone if you’re super oily or sweaty, or combine it with another lightweight cream to get the ultimate dose of hydration and moisture. I bought this gel two months ago during a very trying time in my skin’s health. Determined to use lighter, more humectant products (versus heavier oils that my skin has become a bit annoyed with), I scored a tiny sample from my local Sephora to test. My goal was to introduce a water-based gel into my skincare in order to let my skin “breathe” a little more while it healed from very angry, inflamed breakouts along my jawline. 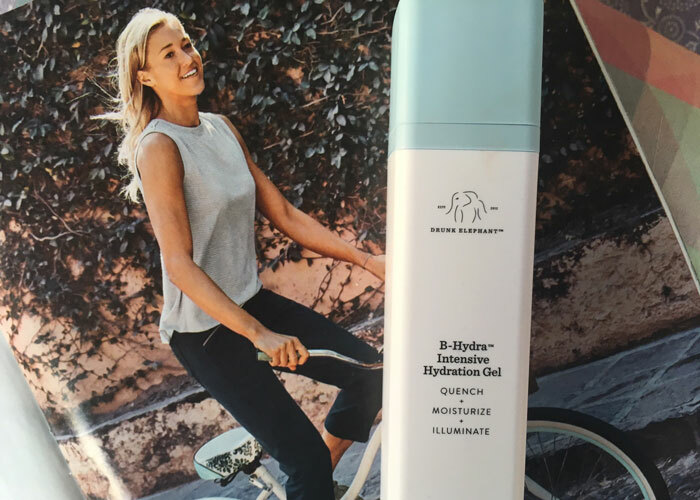 Used in conjunction with oil-free creams or high-linoleic acid single oils, Drunk Elephant’s B Hydra Intensive Hydration Gel helped my skin look more radiant and bright as I healed from the massive breakouts. That’s likely thanks to its wonderfully chosen blend of ingredients. Pineapple, bearberry, watermelon, and apple extracts deliver protective antioxidants. Vitamin B5 allows the skin to better retain moisture, leading to that radiant, supple look we crave. Water, Butylene Glycol, Glycerin, Ammonium Acryloyldimethyltaurate/VP Copolymer, Ananas Sativus (Pineapple) Fruit Extract,Arctostaphylos Uva Ursi (Bearberry) Leaf Extract, Citrullus Vulgaris (Watermelon) Fruit Extract, Lens Esculenta (Lentil) Fruit Extract, Pyrus Malus (Apple) Fruit Extract, Panthenol, Sodium PCA, Sodium Hyaluronate Crosspolymer, Sodium Lactate, Dipotassium Glycyrrhizate, Cyclodextrin, Trisodium Ethylenediamine Disuccinate, Citric Acid, Pentylene Glycol, Chlorphenesin, Caprylyl Glycol, Phenoxyethanol. To be clear, I’m not saying the Drunk Elephant’s B Hydra Intensive Hydration Gel was the reason for my breakouts healing. (That’s for another really long blog post to come). This wonderful gel, however, was an important first step to weening my skin off of heavier products that were likely clogging my pores. For someone with an arsenal of wonderful skincare, nearly 98% of it is oil-based. And that was exactly what was irritating my skin. My pores were craving something lighter — something water-based — to get back into a calm state. Drunk Elephant to the rescue! So this is my plea to the entire clean beauty industry: Can we see some more water-based, oil-free, fragrance-free moisturizers? Have I been missing them all along because of my obsession with oils? As I slowly begin to add face oils back into my routine, they have a new standard they have to meet: compatibility with my Drunk Elephant gel. Another one for the repurchase and recommend list. What clean oil-free moisturizers do you use? Has your skin had any odd reactions to plant oils? What are your skincare staples? Tell me in the comments!